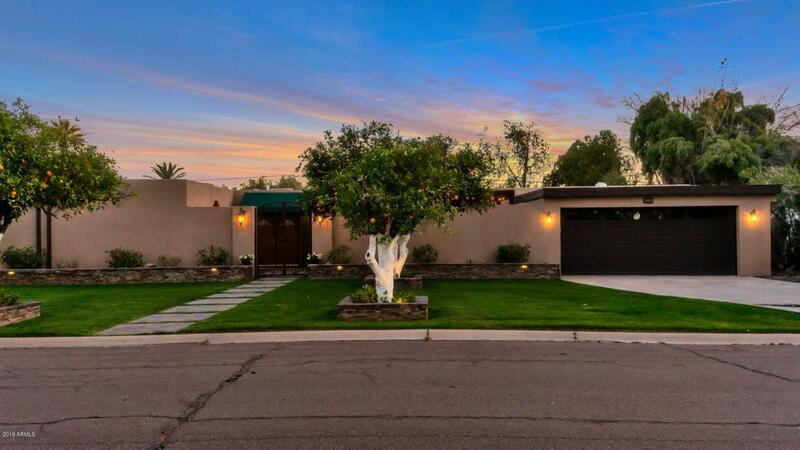 Elegant, open and spacious home located on a private cul-de-sac street in highly desired North Central Corridor. 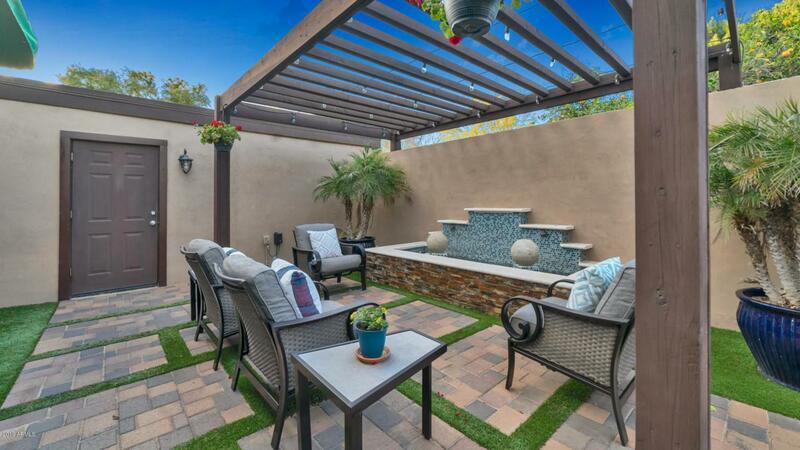 Every square foot has been beautifully updated, remodeled or renovated. A few highlights include a spa-like master bathroom shower with dual shower heads and a rain shower, two large master walk-in closets, an epoxied 2-car garage connected to an additional 168 sq ft room that's perfect for storage or a workshop. 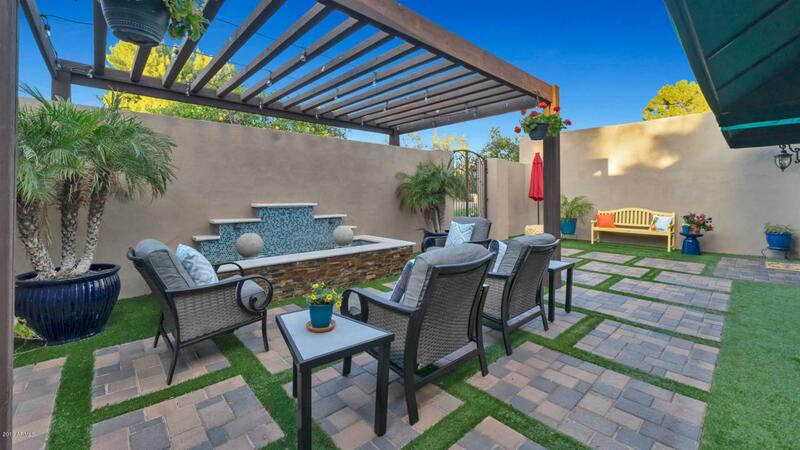 Retreat for some privacy in the gated courtyard, listen to the custom water fountain flow, host an outdoor bbq and pool party during the summer in the gorgeous backyard or sit in front of a roaring fire during the winter months. 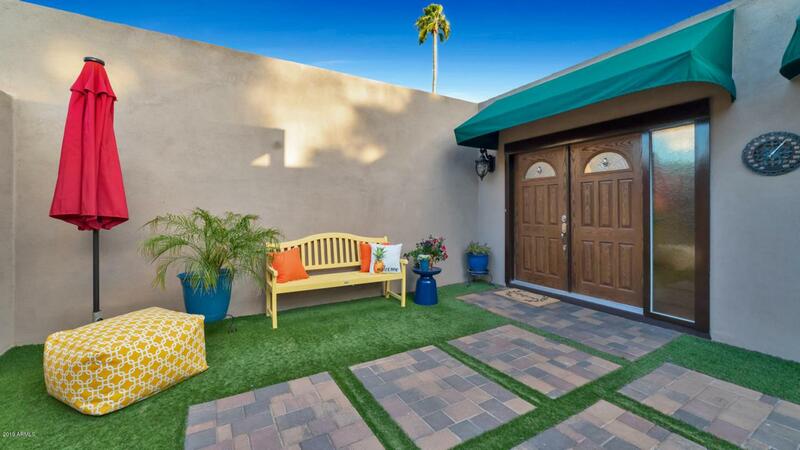 This home has unique features, versatility, overall appeal and is located near one of the top ranked academic High Schools in Arizona.